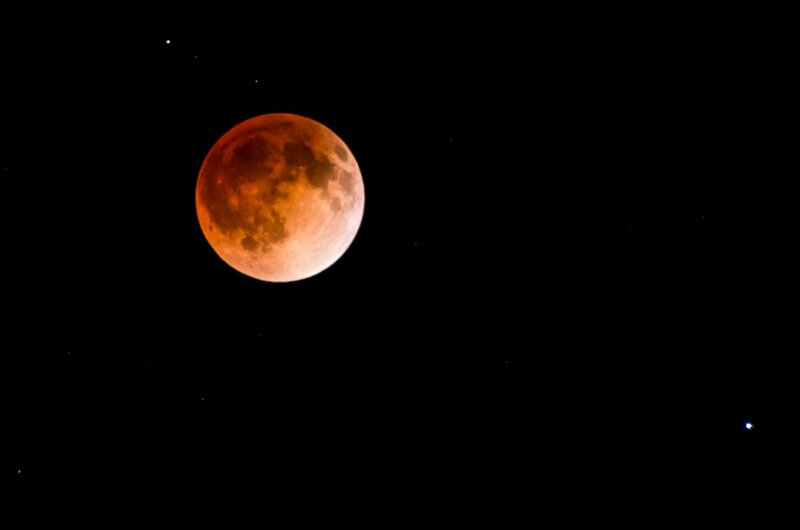 Night Share your "Blood Moon" photos here! 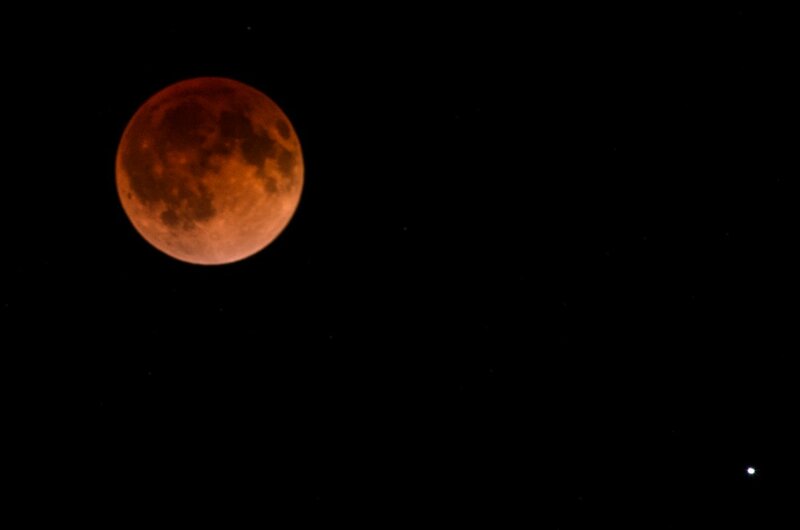 Share your "Blood Moon" photos here! 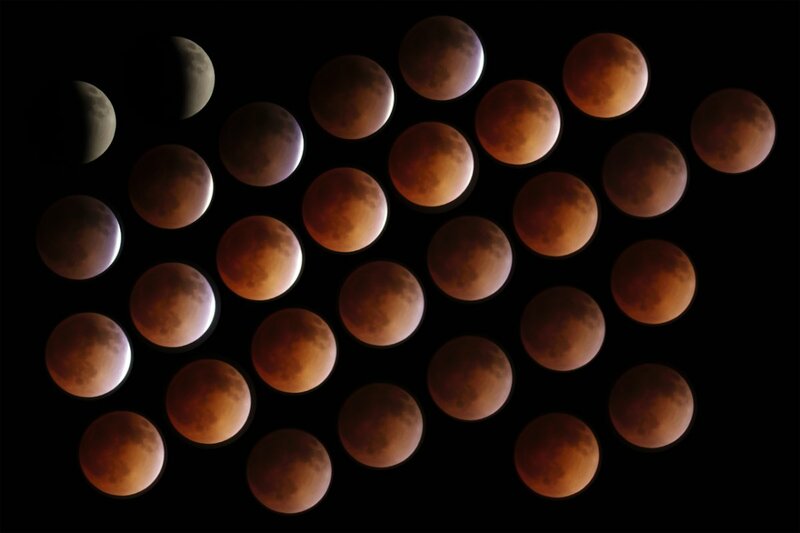 Tonight's lunar eclipse is almost upon us! Once the time comes (3:07-4:24am EST), let's see those moon photos - share them in this thread I will be taking the F* 250-600mm for a spin tonight. 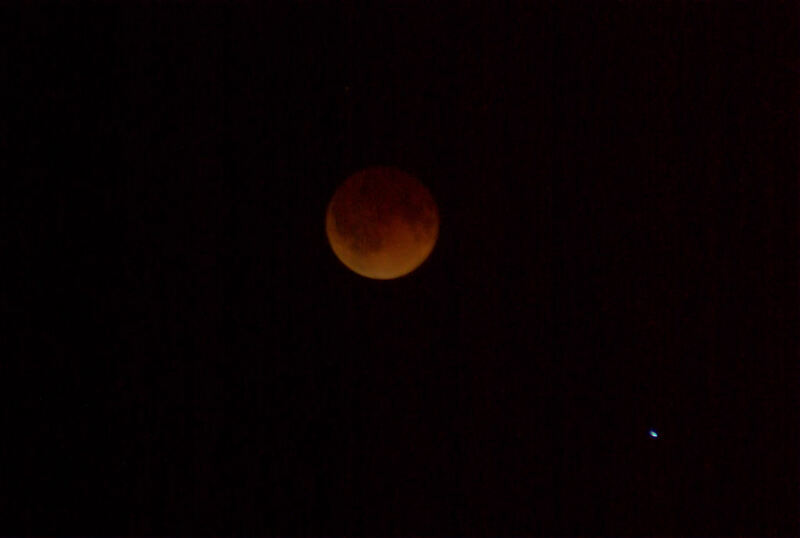 Great shots guys, I'm glad to see somebody got to see a red moon. I got to see mostly clouds. Hey, martin, What Fstop & shutter speed & ISO did you use for most or all of these? I used my SMC Pentax M 80-200 lens also on my K-50, and you can check on this thread, the results I got with mine. Didn't quite turn out like yours. The first one is 30 seconds at ISO 80. And the F-number is probably around F8. (Sorry I didn't take notes on actual F-number for each, so I can't know for sure, but I'll try to remember ). Second one is 1 second at ISO 800 and most definitely wide open, so F4.5. 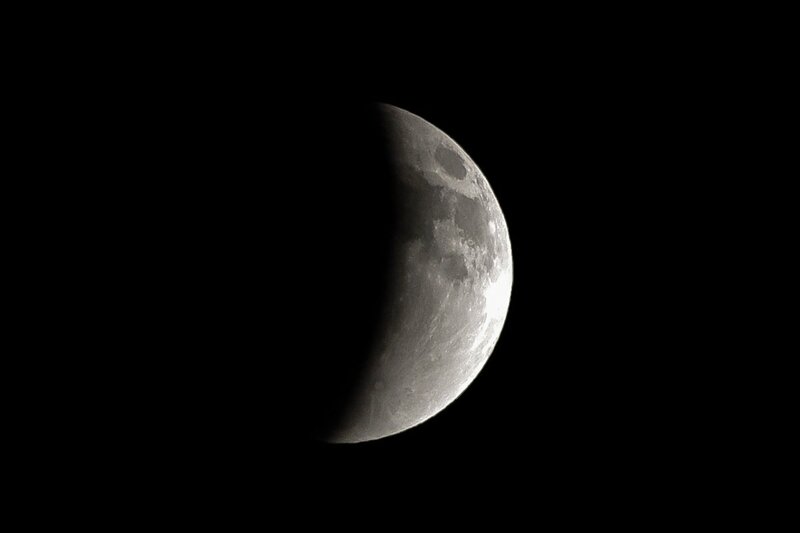 Fourth: 3s ISO 800, and again around F8 or F5.6. 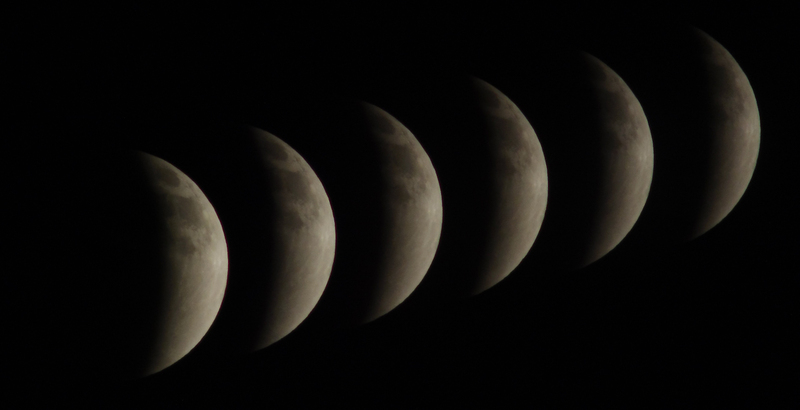 And the last one, 3s, ISO 400 and probably very close to wide open, so F4.5 or F5 tops. K-5, DA*300mm. Some post processing in Lightroom 5.
after relocating a couple of times to evade the incoming cloud layer, I ended up south of Sacramento at this decommissioned nuclear station. This is a bit of a composite. I did shoot everything, just not necessarily at the same time nor with the same equipment. That last one Martin is AWESOME!!! Well done. Nice work to all of you. It was cloudy and rainy here. I slept like a baby. 5 straight days of sunshine, a rare occurance in a Seattle spring, and the clouds roll in right as the sun goes down on the night of a lunar eclipse, so my cameras and I saw no red but the glow of the city lights. Then, as if to mock us, the sun shows its face again today (though still fairly cloudy). Great shots everyone. I'm hoping the weather will cooperate for at least one of the following three eclipses. 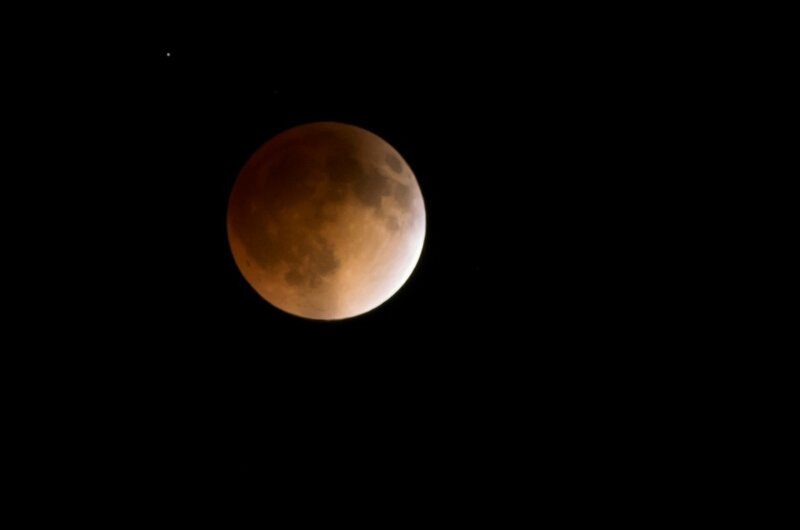 I was unhappy when just as the moon rose, the clouds came in as well - lucky for me they dissipated around 1:15am pst - so I could catch the last few minutes of the full eclipse. We're just north of you on Vancouver Island - the clouds were certainly patchy even when they cleared for a bit... I was quite thankful after staying up that late that we at least got a short bit of clear skies. Great shots! Time to start saving for a big lens!!! Here's what I was able to do with my K-30 and FA50mm for the star shots and a Q with Fotodiox adaptor and M200 f4. 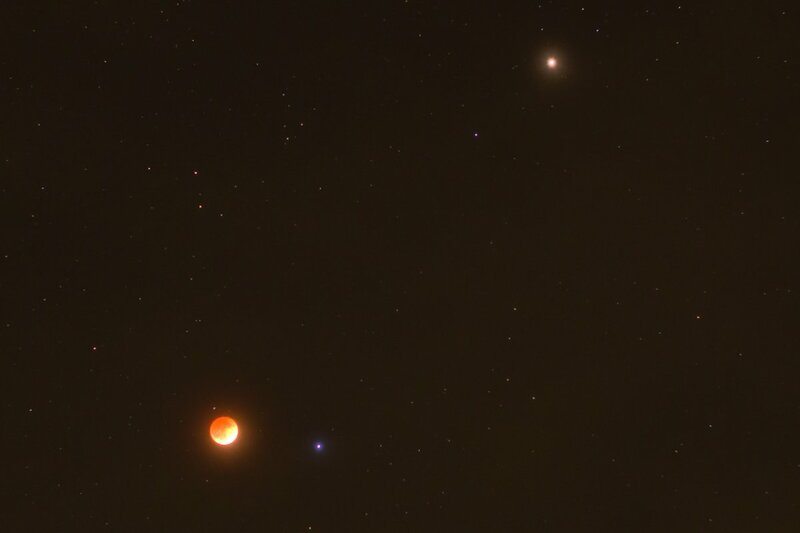 This one has the Moon, Mars in the uper right and the star Spica just to the right of the moon. Last edited by Kendigitize; 04-16-2014 at 06:21 AM.